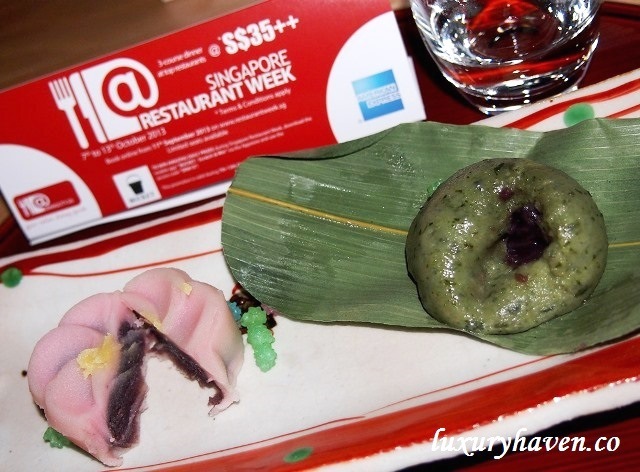 Singapore Restaurant Week Returns In October 2013! 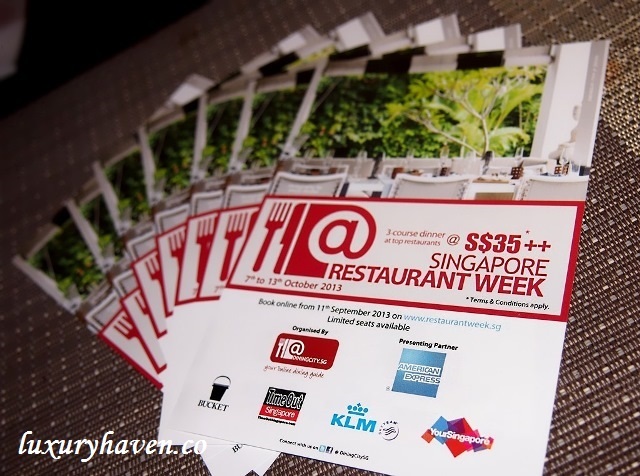 You are here:Home » Promotion / Events » Singapore Restaurant Week Returns In October 2013! 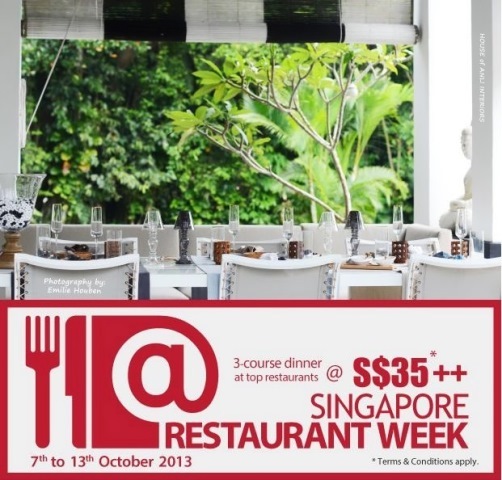 Singapore Restaurant Week, in its 7th edition, will be back from 7 to 13 October 2013. Presented by American Express, this bi-annual gourmet event organised by Dining City has garnered a strong following in Singapore with a record breaking 40,000 seats snapped up in its last edition in March 2013. 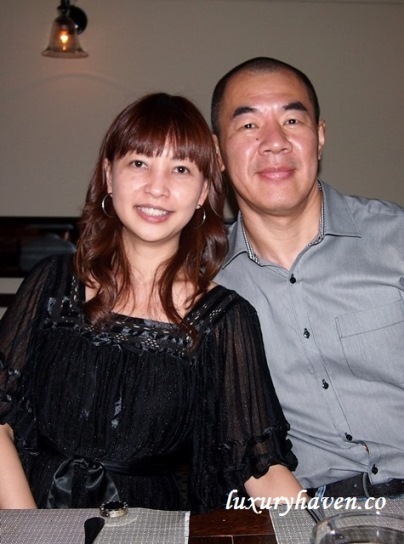 Hubby & I have been ardent fans of the Singapore Restaurant Week for quite a few years already. Only problem is, we haven’t been very successful in securing the seats each year for those restaurants we like to visit; they’re always fully booked by the time we logged in :< We’ve only managed 2 restaurants for the past years, & those weren’t in our list of top favourites. I finally knew why……. with record breaking seats being snapped up each time, I guess we just gotta be more hardworking. 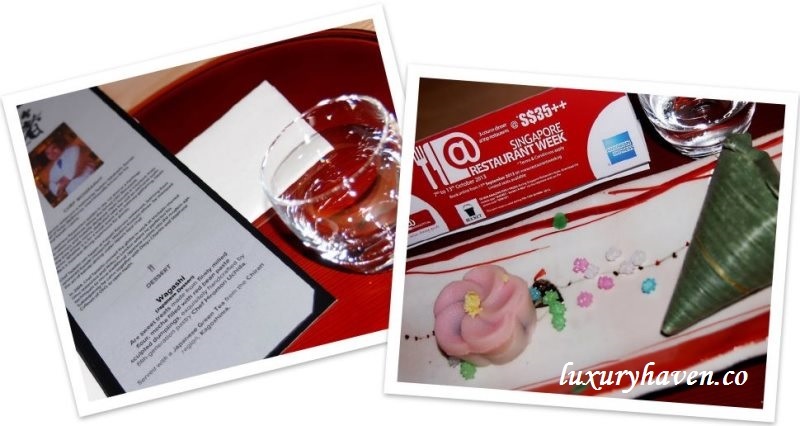 You can imagine how excited I was when I was invited to join this Food Trail Media Event for a first-hand experience of the latest October 2013 edition of Singapore Restaurant Week, jointly organized by Dining City & American Express. For those who aren’t familiar with Singapore Restaurant Week, it’s is a one-week-only dining event where fine dine establishments create special sampling set menus at unbeatable prices! During that week, all participating restaurants will offer exclusive three-course menus for lunch & dinner priced at $25*+++ & $35*+++ respectively!! Now you know why it’s so hard to secure a seat! The concept of the Media Food Trail was nothing complex. Invited guests had a first-hand experience of Singapore Restaurant Week through sampling 3 meal courses at 3 selected restaurants with each Chef introducing their creations for this year. 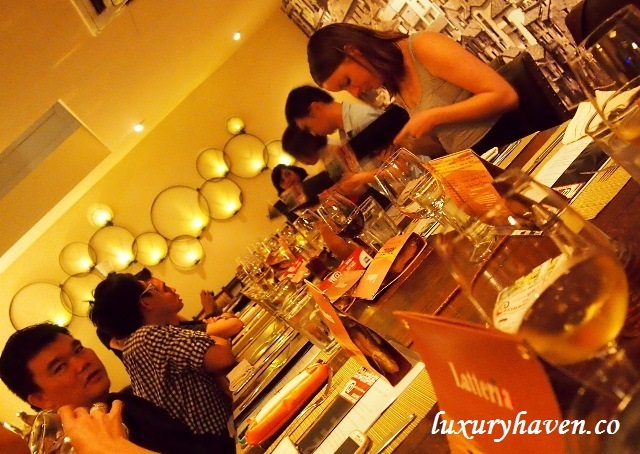 That evening, we commenced our tasting event with an appetizer at Taratata Bistrot, hopped on to a funky bus to Latteria Mozzarella Bar for our main course, & finished off with desserts at Hashi Japanese Restaurant. Sounds fun? Come, follow me on my food trail……….. 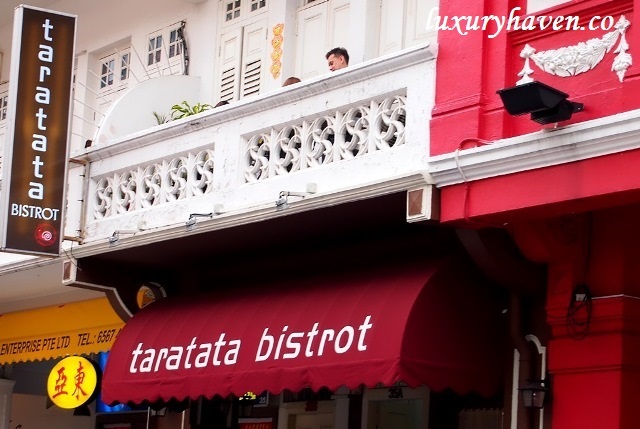 Located at Keong Saik Road, Taratata Bistrot brings the Parisian charm to Chinatown. 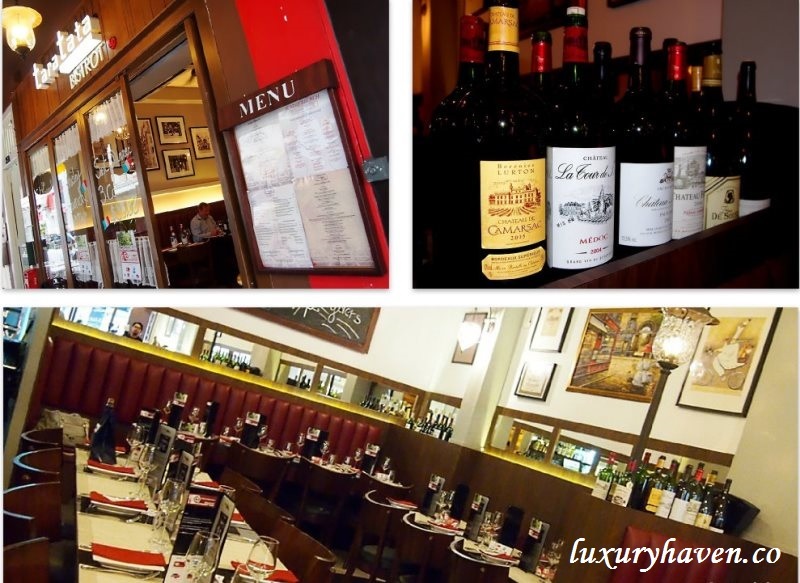 The French Bistrot spotted a Parisian estaminet ambience, complete with comfy plush red seats & French pendant lamps. 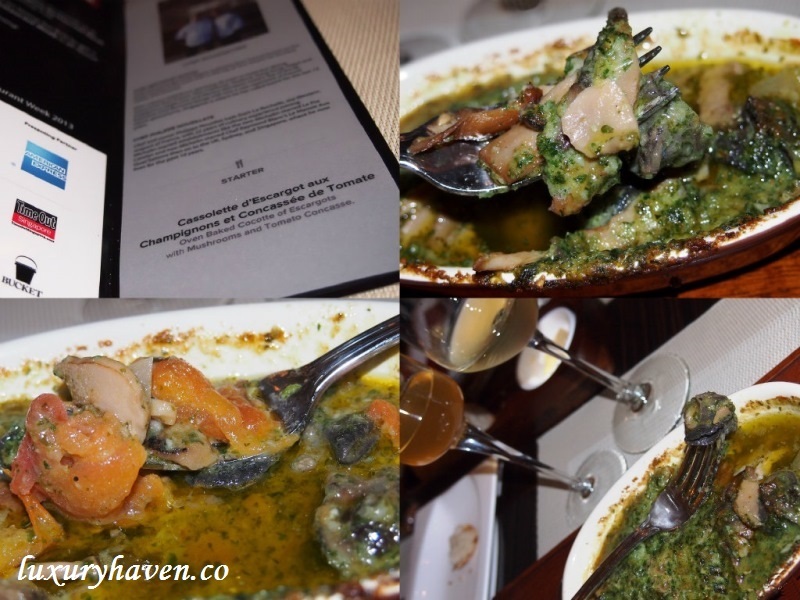 Our 1st appetizer course, the Oven-baked Cocotte of Escargots pulsated with mesmerising newness with the addition of mushrooms & tomatoes in the piping hot dish. Me being an ex-Flight Attendant & hubby being in the Forex industry previously, we'd our fair share of fine dining at a relatively young age. Both of us are die-hard fans of #escargots, often hoping from restaurants to restaurants to feast during our early years before Foie Gras took over the menu in most fine dining establishments. I’ve to say this is the probably the best escargots we’ve ever had. It’s something different from the usual with the addition of vegetables. It may not sound like a good combination, but it was nothing like what we’d envisaged. The sourish tang arising from the concasse tomatoes, the flavourful mushrooms, the plumpy snails....... it was a perfect marriage! Those around us also emptied their appetizers. Too hungry or too good? Sadly, this appetizer isn’t in their ala carte menu. Guess you just have to special order when you’re at Taratata! Here’s our lovely host Desi, MD of #DiningCity, giving us an insight of the Singapore Restaurant Week. For the first time, the popular week-long gastronomic affair will now include healthy gourmet options in response to increasing requests since its debut in 2010. Health-conscious food lovers can now look forward to new healthy gourmet creations at top notable restaurants such as Salt Grill & Skybar, J’s, Oso Ristorante, 7Adam restaurant, KUMO restaurant, Zaffron, Onaka restaurant & more. In addition, new dining experiences await at popular & exciting talk-of-the-town establishments such as Oca Grassa, Blue Bali on Cluny, East8, Fern & Kiwi Bar & Eatery, Hashi & Privé Grill which would be joining #SingaporeRestaurantWeek October 2013 for the first time. Participating again with newly crafted set menus are hot favourites like Au Jardin, Bistro Du Vin, Absinthe, Buyan Russian Haute Cuisine & Caviar Bar, Garibaldi, Gattopardo, OSO, Salt Grill & Sky Bar, La Cicala, Jade, Clifford, The Song of India, Boathouse, Etna Italian Restaurant, Gunthers, Stellar @1-Altitude, SQUE Restaurant, Picotin Express, Wan Hao Chinese Restaurant, Marriott Café, Pepe Nero, Cassia, Basilico, The Knolls, Taratata Bistrot, Punjab Grill By Jigg Kalra & so on. The top-of-the-world Escargots was just the beginning of a mouth-watering parade of treats coming up. 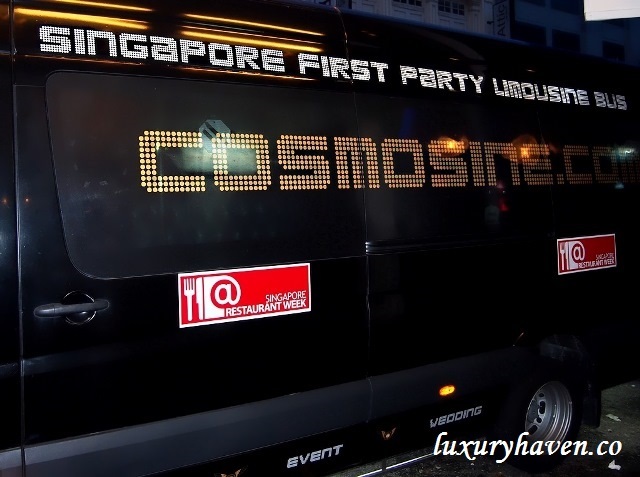 The diners were then whisked off to the next restaurant in a #PartyBus by Cosmosine! 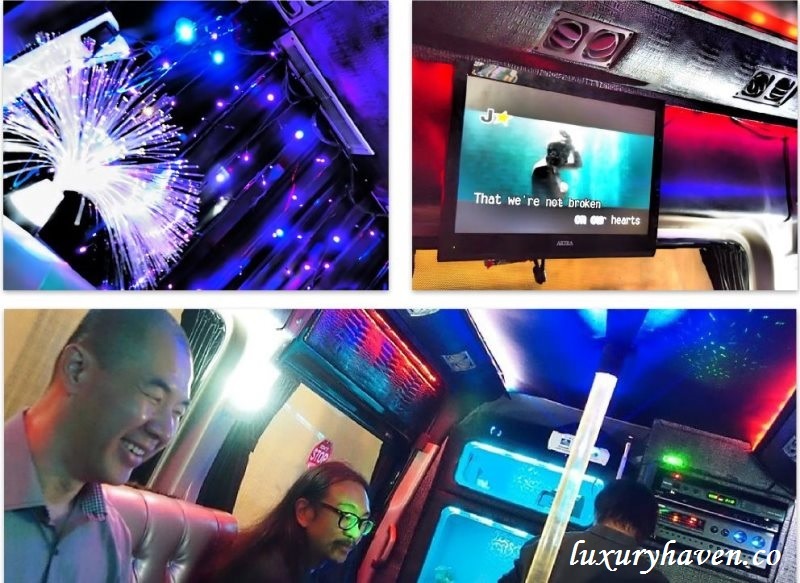 Wanna know what inside is like in the Singapore’s First Party Limousine Bus? It’s funky, it’s hip, it’s a #karaoke time! Here’s my shy hubby enjoying the singing of the ladies seated opposite him in the #Cosmosine. Let’s see who the singers are……. They’re none other than the pretty & sporting Desi, together with Yoshimi Nakajima, Singapore Country Manager of American Express Int’l! These vivacious ladies made the ride so fun & enjoyable! What do you think of this photo? This was captured using the Olympus Pen Series Dramatic Tone! Dishing up rustic & authentic Italian dining cuisines was our next destination at Latteria Mozzarella Bar, by Chef Beppe De Vito. Located at Duxton Hill, the 90-seater restaurant is a place for diners to look beyond pizza & pasta to satisfy their Italian cravings. Spot anyone famous personality in this pix? Hubby spotted Joe Augustin, a popular ex-DJ on Class 95 FM some years back, who hosted the best radio show Singapore has ever produced together, with #TheFlyingDutchman! Our turn for a snapshot. It was a busy day for me. That morning started with a laser treatment for my pigmentation. Hence, the red dots on my face. Then I shuttled to another sponsored hair treatment. I'd initially planned to have my hair up since I'd a dinner tasting, but my stylist advised me against it as those spots would've been more obvious. Lol! 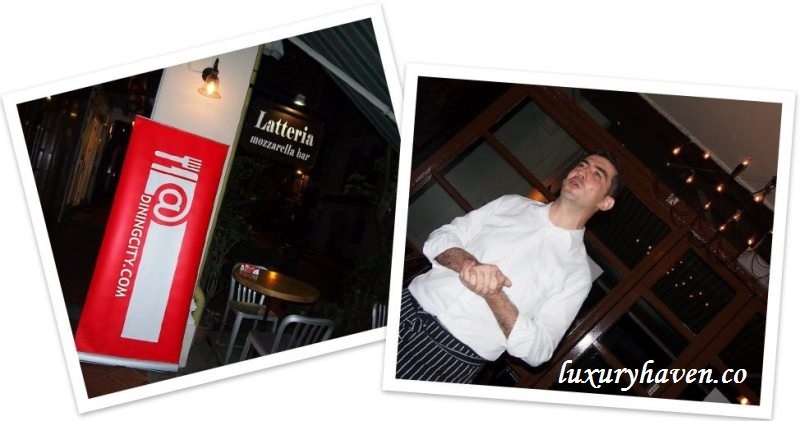 Over at Latteria, guests were served 2 main courses altogether. 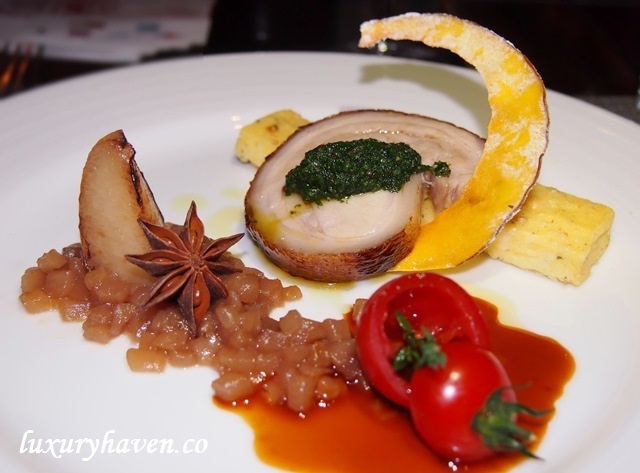 A vibrant dish formed our first course. The Grilled Halibut was paired with a colourful trio of cauliflowers & edible flowers. Served on a bed of saffron potato, the white fish was fresh & tender. It was supremely tasty with the lobster sauce. I’m sure most of you know by now that I’m not a fan of fish, but I actually finished the entire fish. Hubby was surprised too. He loves fish & was eyeing at mine, but too bad for him, no luck this time. This creation revealed a distinctive understanding of the notes resounding from each accompanying ingredient; kudos to the chef on the well-executed job! After a heavy & satisfying main course, following was the Suckling Pig Porchetta. It was another plate of beautiful presentation with astounding colours; clever plating with the #StarAnise, a spice widely used in the Chinese & Indian cuisines. Hubby & I were a tad disappointed this time as the skin was soft, & the meat a little too fatty. So if you’re looking for Chinese-style #SucklingPig with crispy skin, you may not be contented. Nonetheless, all of us were happy & engrossed with the #HandmadePasta given to us. It was a truly nice gesture from Latteria. By the way, if you’re into #Cheese, you may like to know that Latteria carries the widest range of #MozzarellaCheese in Singapore! 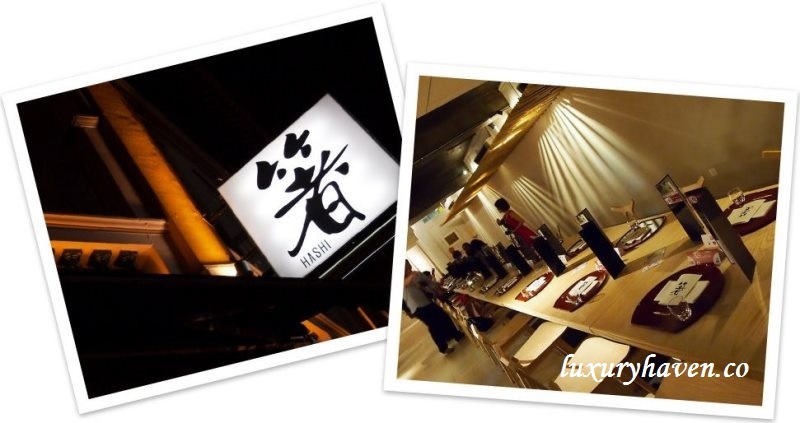 Next on the list was Hashi Japanese Restaurant located in Bukit Pasoh, residing in a heritage conservation shophouse just below the famed OSO Ristorante. Chef Takahashi, former head chef of Nobu Melbourne & internationally known for his traditional #Kaiseki cuisine, introduced Wagashi for the evening. These Japanese sweets are exquisitely handcrafted by fifth-generation pastry chef Hiromori Uchida, & shipped over from his shop in Shizuoka weekly. 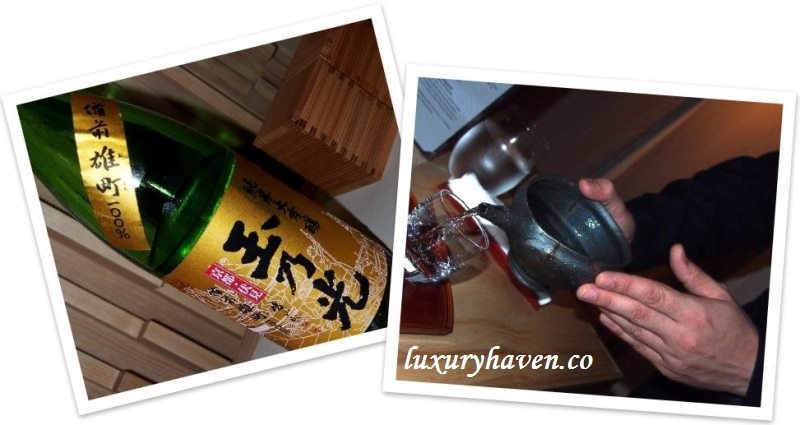 The #wagashi was served with a Japanese Green Tea from Kagoshima in the Chiran region, & the Tamanohikari "Bizen-Omachi 100%" (玉乃光、備前雄町100%), a pure rice super premium sake. 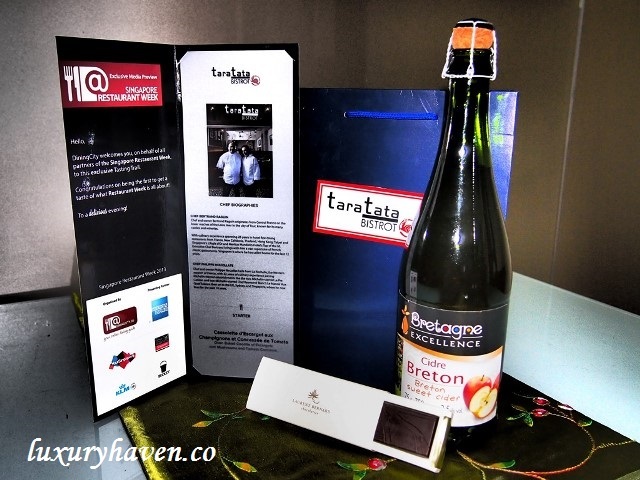 #TaratataBistrot – a bottle of Bretagne Cidre Breton & a bar of Laurent Bernard Chocolate. 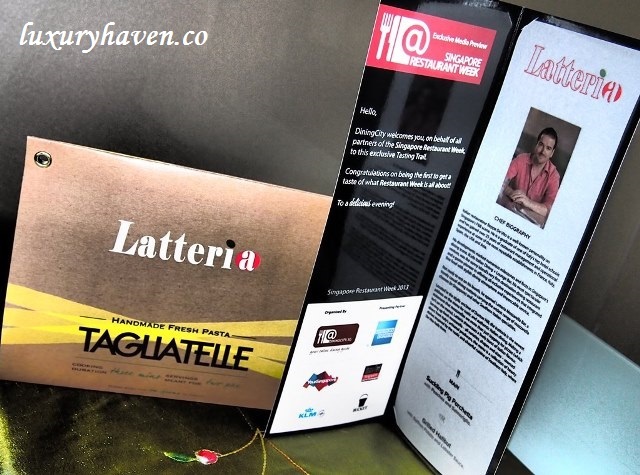 #Latteria – handmade fresh Tagliatelle pasta. 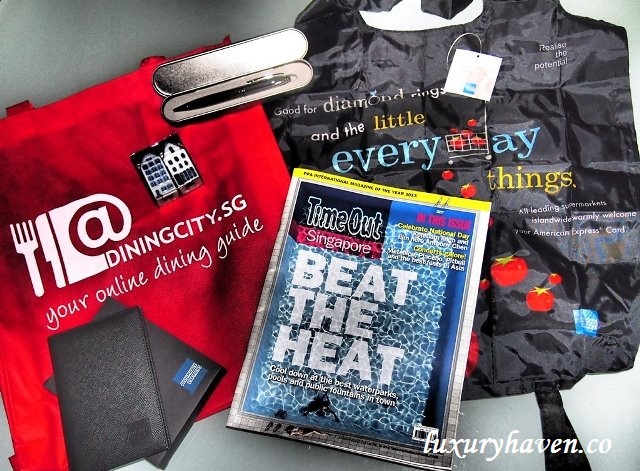 #DiningCity & #AmericanExpress – salt & pepper condiment set, pen, passport holder, recycling bag, & a Time Out Singapore magazine. Thank you Dining City, for the delectable tasting tour! Special thanks to Cheryl Khong for the kind arrangements! During Singapore Restaurant Week, all participating restaurants will offer exclusive three-course menus for lunch & dinner priced at $25*+++ & $35*+++ respectively. *Please note that DiningCity Star-Awarded restaurants charge a supplement of $15 for lunch & $20 for dinner. American Express Cardmembers^ enjoy exclusive priority booking privileges from 4 September 2013 before booking is open to the public from 11 September 2013. All bookings can be made online from 11 September 2013 at www.restaurantweek.sg, a dedicated website with unique technology for online & real-time reservations. ^Applicable to all American Express Cards issued directly by American Express International, Inc. in Singapore (excluding American Express Corporate Cards & American Express Cards issued by DBS, UOB & EZ-Link Pte Ltd). 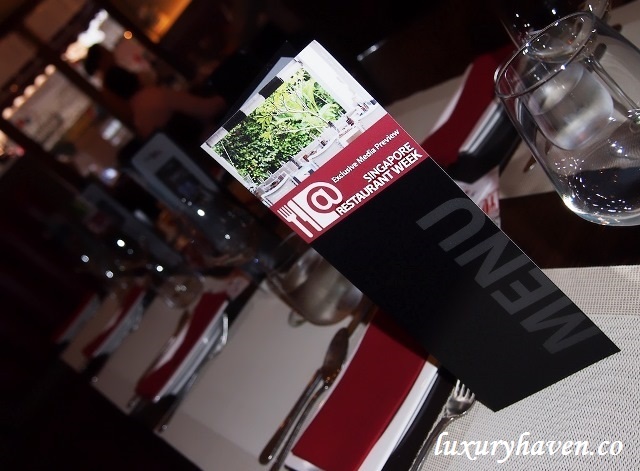 Subscribers to the DiningCity.SG newsletter will enjoy advance booking from 9 September 2013. To sign up for the newsletter, simply log on to www.DiningCity.SG. Pioneered by DiningCity.com, a highly-regarded & sought after online restaurant guide targeting the fine dining & middle-market restaurant segment based in The Netherlands since 1998, #RestaurantWeek is an innovative & successful event which has become the culinary event in countries such as Austria, Belgium & USA. The idea of the Restaurant Week originally came from New York, where it is a huge success & takes place several times a year. 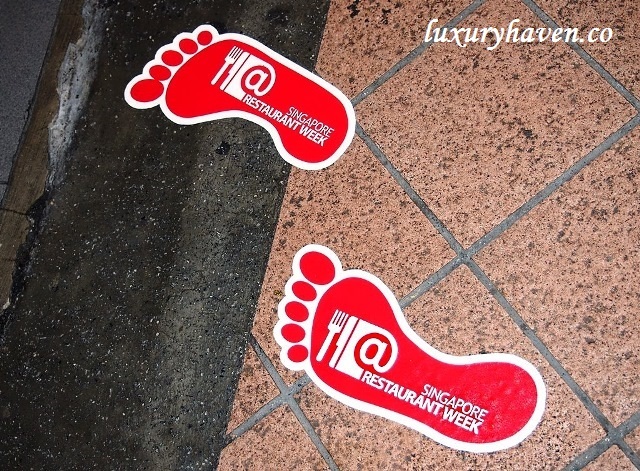 In March 2007, the first Restaurant Week took place in Amsterdam & was an enormous success. The fact that the number of visitors on the website exceeded 2.5 million people is proof that it is a very popular & successful concept. As a consequence of its success in The Netherlands, Restaurant Week Belgium & Restaurant Week Vienna are also highly-lauded. 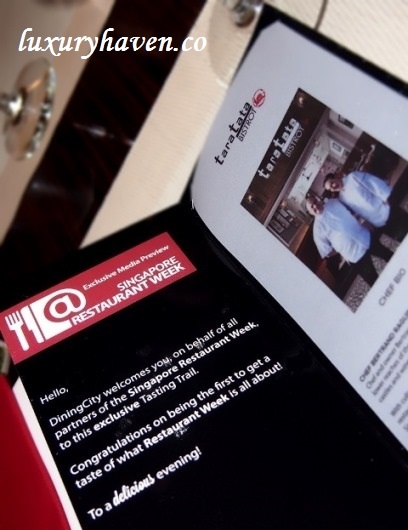 In 2010, Restaurant Week made its debut appearance in Rome, Singapore & Shanghai. Singapore has the honour of being the “First city in Asia” to showcase Restaurant Week. DiningCity.Com / SG is an online restaurant guide targeting the fine dining & middle-market restaurant segment. 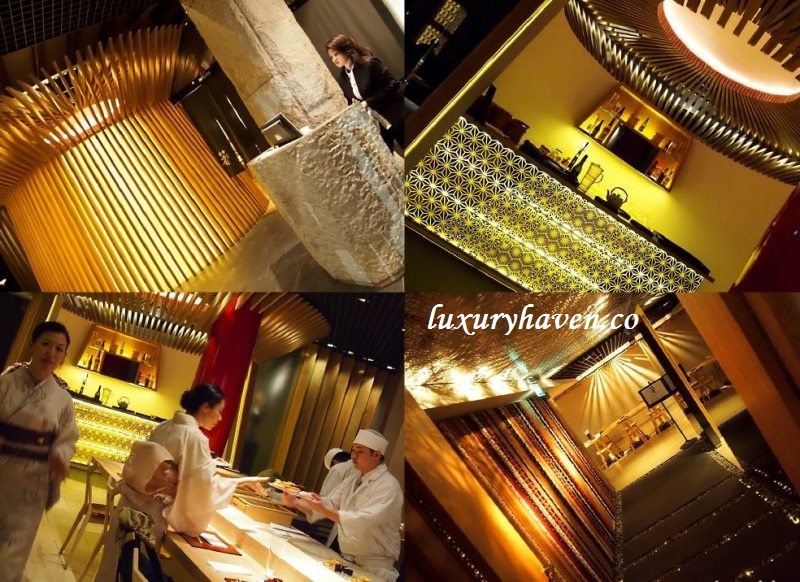 The carefully selected restaurants are accompanied by beautiful photos & up-to-date menus. Website visitors can also book a restaurant table online & have a unique 360 degree virtual tour of the restaurants. Very Informative post! Prior to reading this, I didn't even know there's a so call restaurant week. Your invitation from Diningcity is definitely a great experience. Guess I'll be visiting diningcity.com often now to drool over the foods photo as well as the restaurant ambience. LOL! DS, be sure to mark your calendar for the big day! Thanks for sharing so much information with us! I wonder if any such event like the Singaporean week, happen in Vancouver. I am sure you had wonderful time sampling the delicious meal at the chosen restaurants. Wow, Shirley, you had a busy day! The food looks extraordinary! What a wonderful experience! Liz, it was hectic but fun; a memorable one! Life is good for your Shirley, all the invitations and occasions. Am so proud of how you are so well known in Singapore and am sure more will come rolling in. Such a great event, great people and awesome spread of dishes. Nava, I'm just running a humble blog like the rest of you here. Thanks to all the support from readers like you who've been so true for the last few yrs! Happy blogging & may it brings us more fun! The food looks sooOoOoo delicious. Makes me salivate! Restaurant week is a great concept! Love the look of the halibut and if you ate the whole thing and you do not like fish this says a lot right there. I think a concept like this in Soho, causeway Bay or TST in HK would be a huge hit. Bam, the halibut was absolultly delicious! I love checking out Soho whenever I'm in HK. such a cool place! nice place with yummy food! EH, be sure to bookmark the page & hit the button when the time comes! cquek, can never get enough! What a great way to get people out to explore a few new restaurants. YL, truly an eventful experience! wow!that sounds like a great event!seems you enjoyed a lot! Amila, we'd tons of fun & tasting! Happy weekend, sweetie! Its such a steal compared to what we pay in KL for MIGF! SN, thks & have a good week! What a great honour to know Shirley Tay who is a well known celebrity now in Singapore! You always share the best things with us - Thank You! The restaurants are so tastefully decorated with cozy ambiance! The food presentations were all so nice and delicious looking too! Pepper, be sure to try them out :) Bookmark the dates & hit the button when the big day comes!